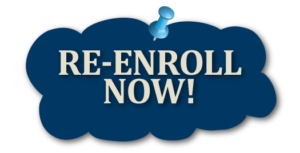 Re-enrollment for all students begins Monday, January 7th through Friday, January 25th. If your child is currently enrolled at HSA – Sugar Land and you would like for him/her to attend Harmony Science Academy Sugar Land for the 2019-2020 academic year, please ensure that you complete the re-enrollment form by the January 25th deadline. Completing the Re-enrollment form for all students is mandatory even if you decide not to have your child return. Failure to do so by January 25th will keep your student from returning to HSA – SL. WINTER MAP TESTING GATE (Gifted and Talented Education) Announcement!